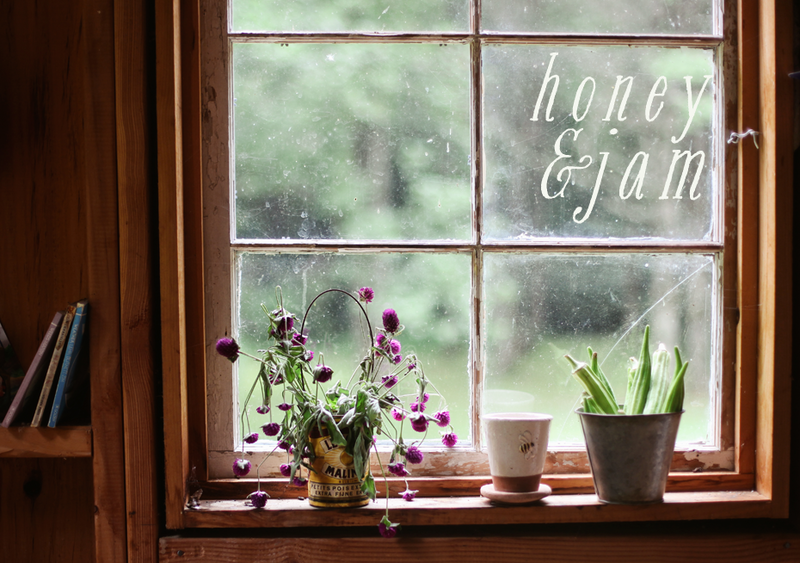 honey & jam | recipes + photos: Lemon Poppy Seed Bread. This bread gave me lots of trouble. The recipe is simple enough, it was me that kept messing it up. First, I forgot to put the eggs in at the right time, so I had to throw them in at the last second. Then it wouldn’t come out of the pan. When it finally did, a whole chunk of it came flying out and landed in the cats water bowl. But, it was delicious. The lemon glaze is so good, i was breaking off bits and just dipping it right in the bowl. 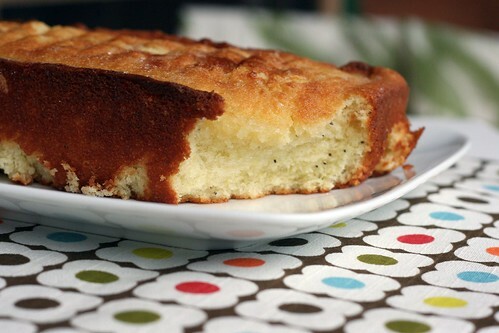 This bread was originally just lemon bread, but I added some poppy seeds in there for fun. At first, I was trying to figure out how to disguise all it’s ugly spots (and there are many!) but then I decided to just accept it, photograph it, chunks missing and all. In a bowl, stir and toss together the flour, baking powder and salt. Set aside. 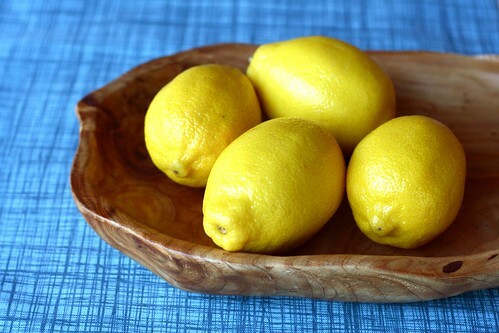 Meanwhile, make the lemon syrup: In a small bowl, combine the sugar and lemon juice. 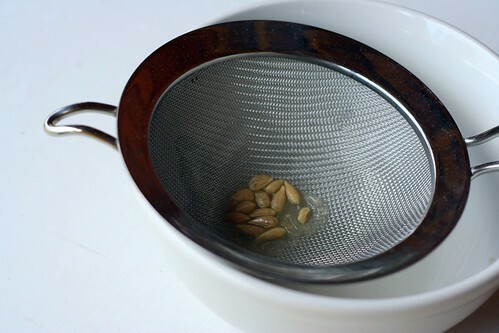 Set aside, stirring occasionally; don’t worry if the sugar does not dissolve completely. Remove the bread from the oven and transfer the pan to a wire rack. Using a fork, gently poke the top in several places. Stir the syrup, then slowly drizzle it over the hot bread. Let the bread cool in the pan for 15 minutes, then turn the loaf out onto the rack, top side up, and let cool completely. Makes 1 loaf. sorry to hear about your stuck bread...that always irks me when it happens. but, i am sure it was delightful. I have a British friend who, when her cake falls or sticks or just plain turns out ugly, simply spoons it into a bowl or trifle dish and serves it with a spoon and the glaze on the side. She promptly renames it "pudding." Again loving the prints! Looks like you've had oodles of time to bake lately, I'm jealous! The fabrics you photograph on... are they tablecloths? Or swatches of fabric? They look so pretty! the fabrics are mostly kitchen towels and place mats from target. a lot of the orla kiely line. they have tons of cute and inexpensive kitchen stuff there. 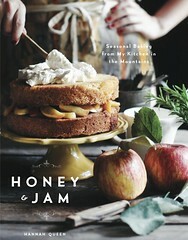 This looks really delicious!! Your photos are just wonderful. Nice to meet you! Mmmm...lemons...and an Orla Kiely napkin! I'm jealous. I cannot find the napkins where I live! It's simply shameful how covetous I am. I made this, subbing in a little wheat flour, feeling v. proud of myself for beating it thoroughly with just a hand whisk, and then, AND THEN!! it totally fell apart on me when I took it out of the pan. So don't feel too bad. Of course, if I had not got excited and let it sit longer I probably could have avoided that. But now I'm eating lemon poppy seed bread with a spoon, and it's delicious enough that it doesn't matter. It was a delicious bread. Found that if you microwave for 30 seconds the syrup the sugar dissolves. thanks a lot for the recipe.